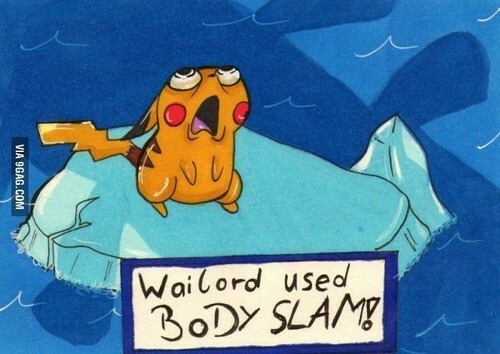 Wailord Used Body Slam. . Wallpaper and background images in the Pokémon club tagged: photo pikachu body slam wailord shadow water ice used.